I just rolled over my 36,000th mile yesterday. 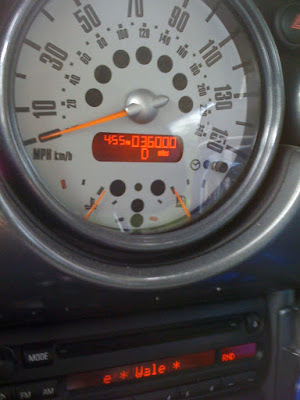 I have been driving the MINI for more of the day to day errands and more often to and from work. I think the next thing I want to do is get some good winter tires. I want to start driving the MINI more and having the 205/45HR-17 Kumho Ecsta AST XL Tires is just to dangerous in the winter. I am not sure what tire I should get but I will keep my eyes open.